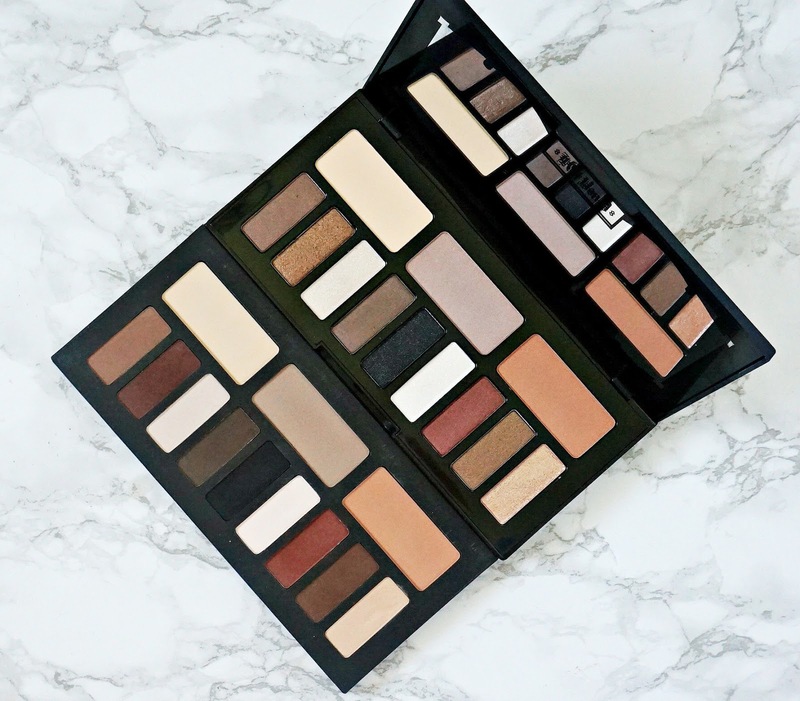 Packaging & Layout: Like the original eye contour palette, this one has the eyeshadows broken down into 3 quads in warm, cool and neutral tones. It has a mixture of finishes - satin, metallic, glitter and glimmer. 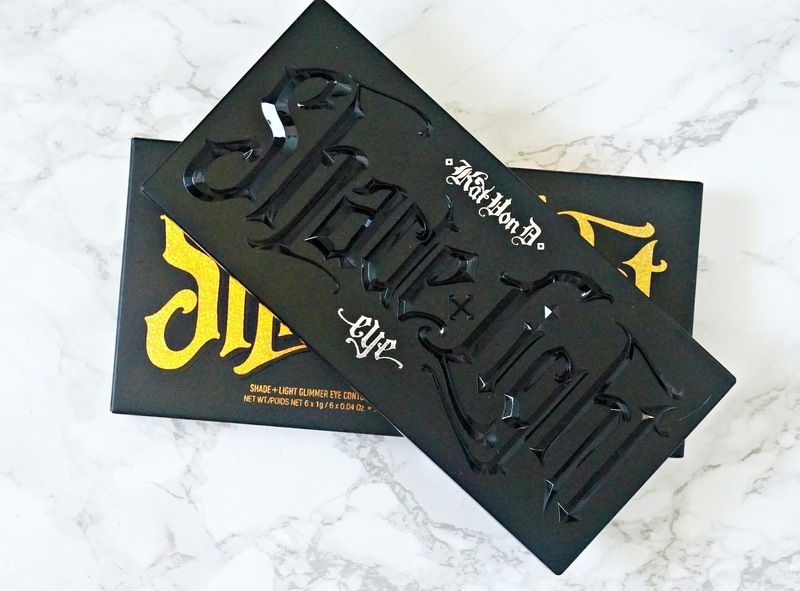 Unlike the original palette, this one isn't in cardboard casing - this time around it's a sturdy plastic, matte black with the name in 3D writing and the KVD logo in iridescent silver. There is a large mirror inside the lid and no brush included, which doesn't particularly bother me as the brushes included with palettes are never really the best quality. 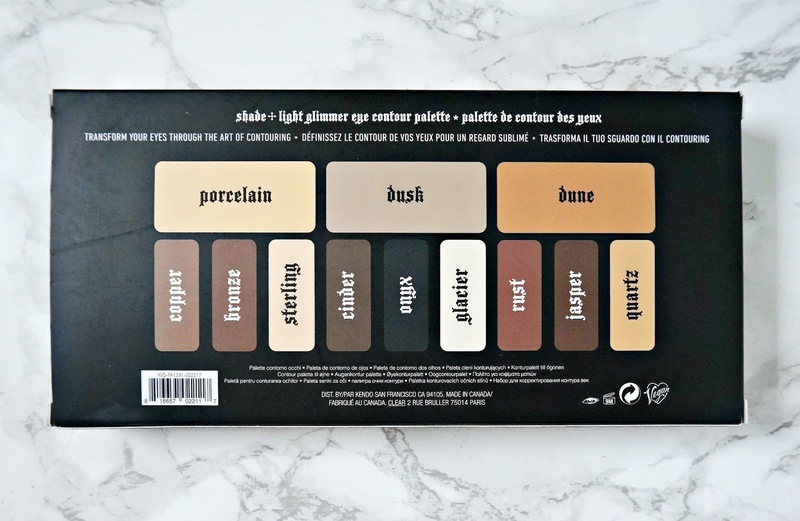 Disappointingly, there is no step by step guide for creating looks with this palette, whereas there was with the original but it isn't a deal-breaker. 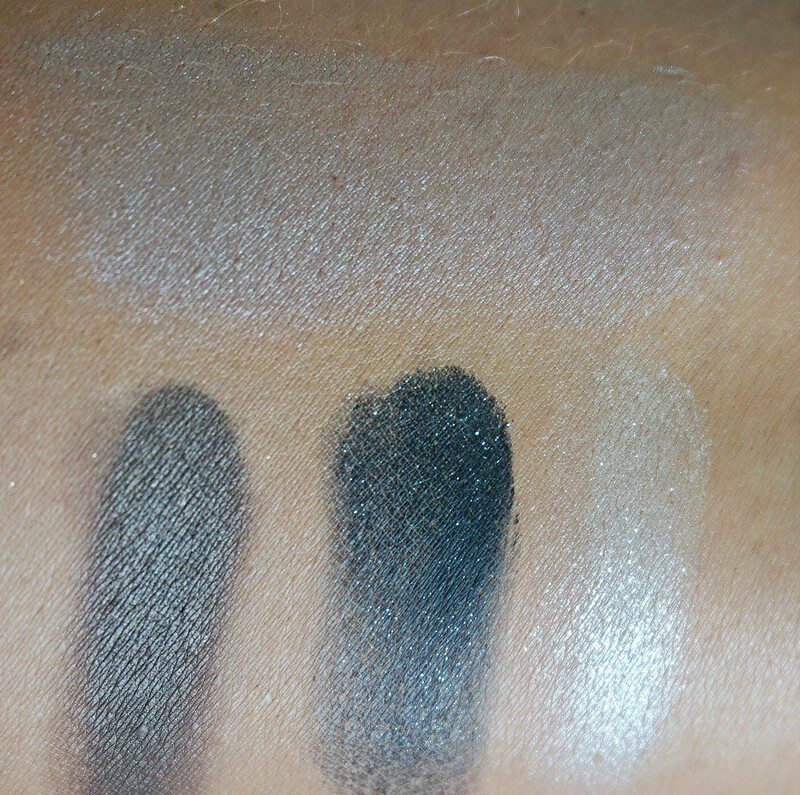 Texture & Pigmentation: It is a mixed bag texture wise - most of the shadows are so buttery soft that they almost crumble whilst some feel slightly chalky (Cinder & Onyx in the cool quad). 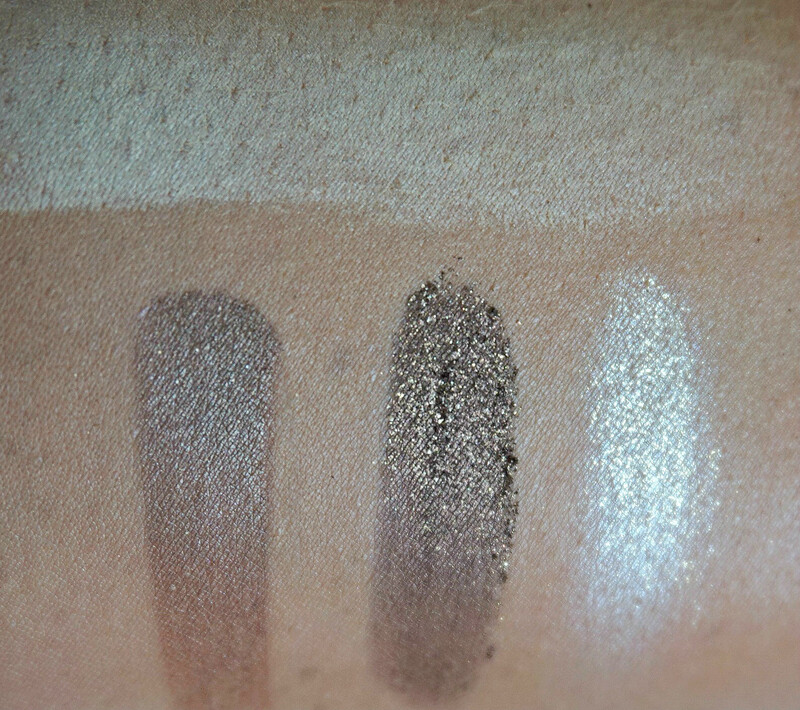 The pigmentation is very good overall - Dune doesn't show up on my skin but that's more to do with the shade and my skintone than a pigmentation issue. 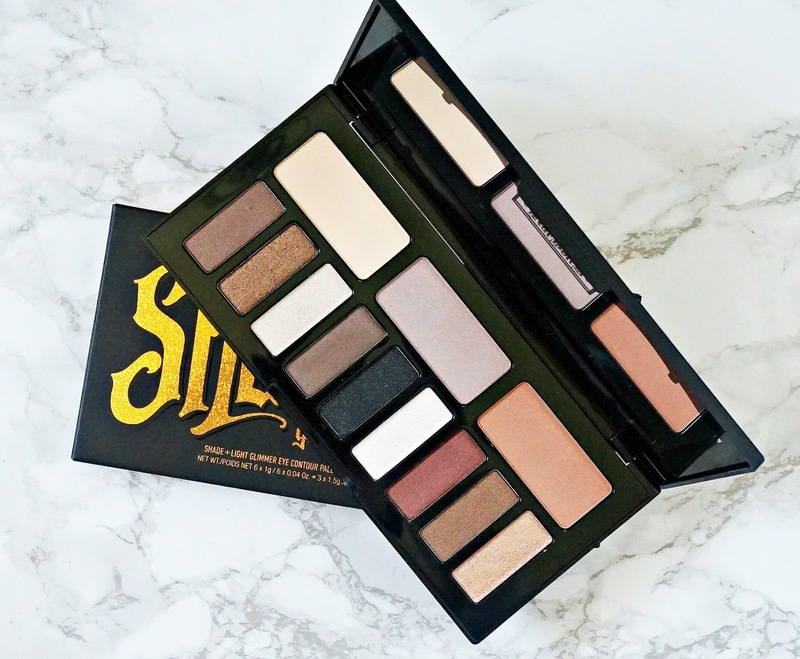 Fallout & Longevity: There is definite kickback in the pan and it is imperative to apply your eye makeup first when using this palette because there is some fall down, which needs to be tidied up before applying your base. I always use an eye primer and the wear time is excellent at around the 8 hour mark before some fading on me. Application: Again, this is a mixed bag. The large satin shades and the metallic shades apply and blend beautifully with any flat shader brush (MAC 239 or Real Techniques shader brush, for example) and blending brush (MAC 217 is my favourite) but I find that the glimmers work best applied with my finger and the glitters need to be applied using a brush dampened with MAC Fix + for example. Overall thoughts: Let's be real, there is nothing unique or groundbreaking about the shades in this palette, as beautiful as they are - if you are a shimmery shadow fan or a palette fan in general, chances are you have similar shades in your collection. Also, I do find myself reaching for other palettes for matte transition shades, but that's my personal taste. I prefer the original palette but again that is personal taste as I think that younger people who don't have any lines on their lids will find some of the wet look shimmers/glitters more flattering than I do. I really love some of the shades though and I know that around Christmas, I will get a lot more use out of this palette as I up the shimmer/glitter stakes. Is it worth $49? 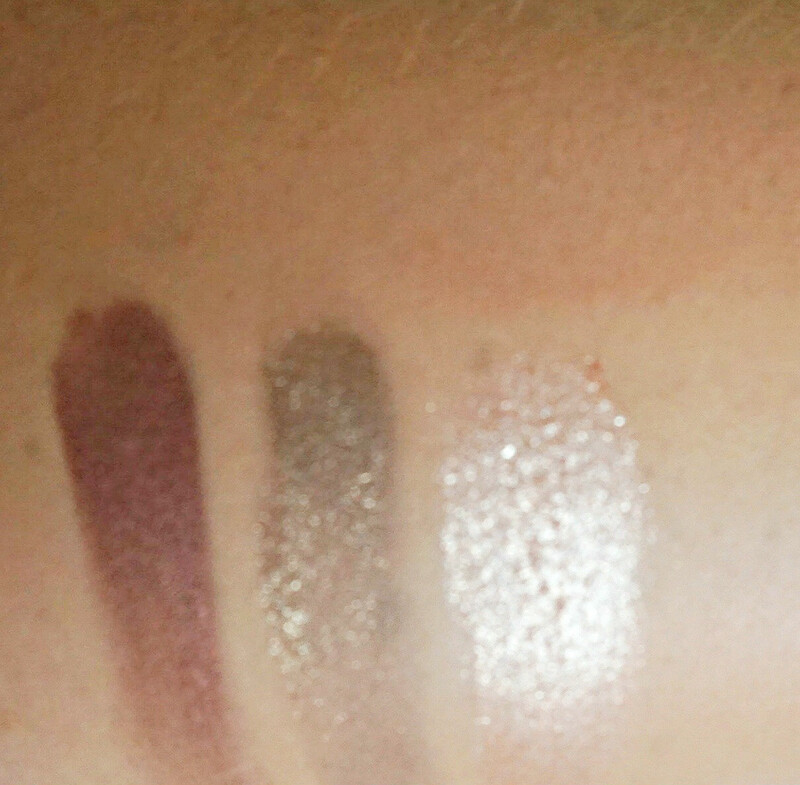 The quality is definitely there but the fact that I, personally, have to combine it with other palettes makes me say no. What are your thoughts on this palette? Will you be buying it? I'd love to hear in the comments below! All products are bought by me, unless otherwise stated. I bought this myself and paid the shipping fees myself. Opinion is always my own.